All commercial properties have areas that don't get much attention. You know that black mold can wreak havoc in your commercial buildings, but what can you do when it gets into the air ducts? Molds are a natural part of the environment and have developed the ability to thrive in just about any setting with a bit of humidity. The first step to preventing spores from setting up colonies in any out-of-the-way places on your properties is to control moisture. Run dehumidifiers in your buildings. Install fans in attics and basements. Consistently repair damaged roofing and foundations. If you've recently noticed a mildew-y smell or become worried about contamination for other reasons, start by contacting a mold removal professional to conduct inspections and correct growth in problem areas. Once inspections are complete and remediation technicians have left you with clean ducts, it's time to take serious action to prevent new growth of black mold. As the professionals finish up their work, ask where your problem spots are. You may learn that an HVAC unit has been leaking near the ducts or that you have high levels of humidity near a furnace. Target those areas first; conduct repairs and take steps to control moisture levels. Next, implement a consistent pattern of maintenance. Work through HVAC systems, cleaning coils and drip pans. Consider installing gadgets to measure moisture levels around your properties. Review housekeeping routines to be sure that standing water from mops and buckets isn't a problem. Conduct routine inspections for mold growth or signs of increased humidity. The primary goal of your preventative efforts is to keep humidity levels low and immediately correct leaks and other problematic sources of water. All commercial properties have areas that don't get much attention. It's easy to overlook those spots during routine maintenance and cleanup. When you put black mold prevention at the top of your list, it's easier to keep it at bay. 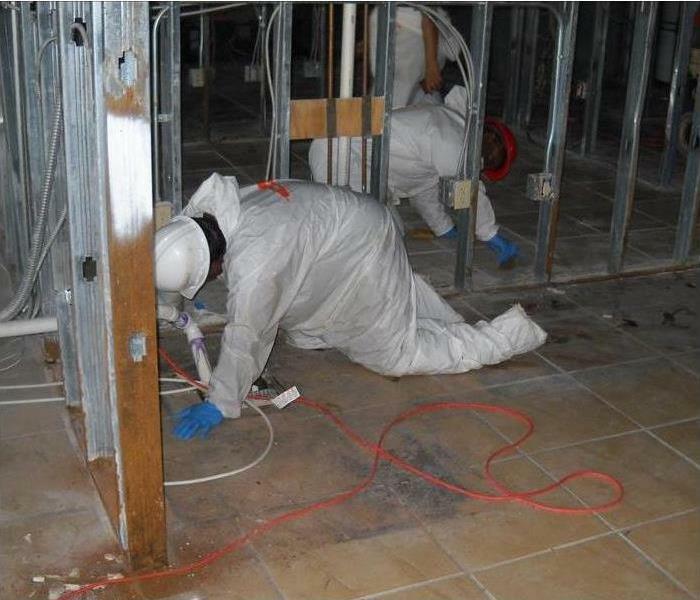 Mold remediation specialists in Tulsa, OK can be a valuable resource in your efforts. If your business has a restoration need, then your insurance agent may recommend a preferred vendor such as SERVPRO. A vendor program is often chosen because preferred vendors follow a set of guidelines. These guidelines are in place to ensure quality work across every aspect of the job and are set at a national level. This can help you rest assured that your home or business will be restored to a high-quality standard, utilizing the best practices, skills and equipment necessary for the job. Another reason your insurance agent may recommend a preferred vendor is because they follow industry standards, which allows both of you to know what to expect from the process. This lets you to ask any questions you may have before the work begins and permits your agent to know that the property is being handled correctly. A professional restoration company may offer services such as tracking your referral and sharing progress reports on the work being done. They can also offer industry validation for every step of the job. This means that you know that the proper equipment, processes and procedures are being used. 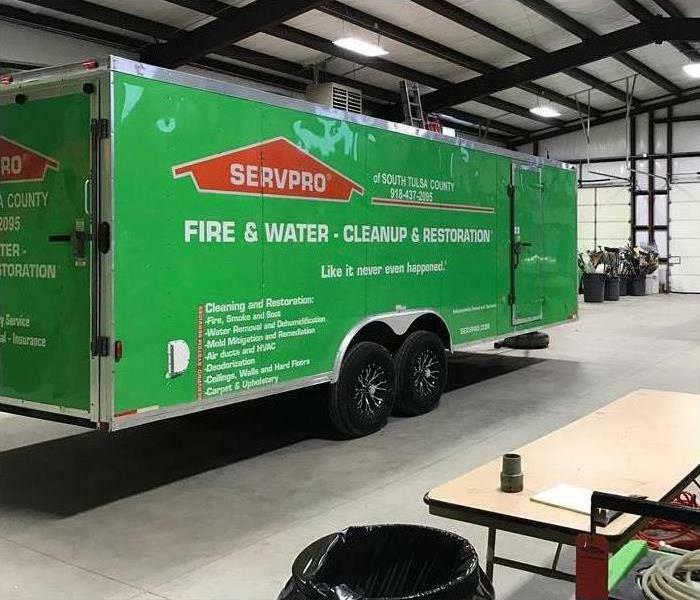 If your business has a restoration need, then your insurance agent may recommend a preferred vendor such as SERVPRO. These vendors follow national guidelines which help ensure quality work in every step of the process. The fact that they follow industry standards means that you can also know what to expect with the repairs. More than that, they may also offer services such as progress reports or referral tracking. 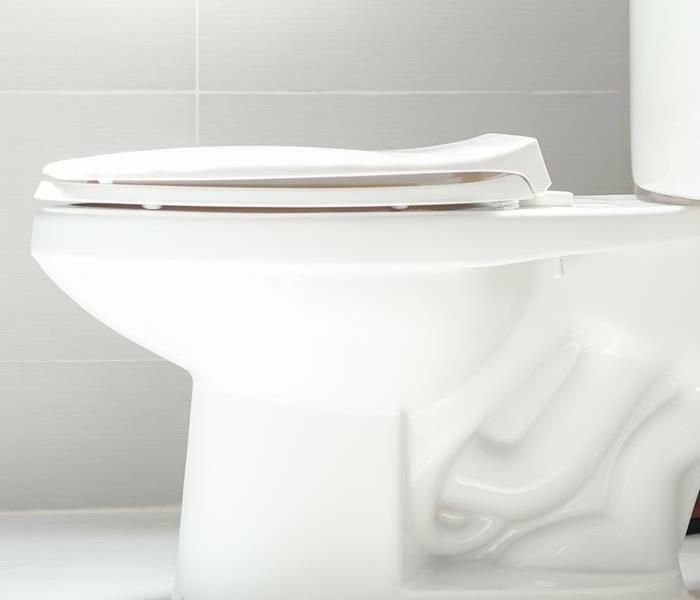 Bad pipes, clogs or even sewer damage can cause toilet overflows in the blink of an eye. Toilets are the workhorses of the bathroom, so naturally, they occasionally malfunction. One of the most common outcomes of a toilet issue is an overflow, an outpouring of water that can be messy and even dangerous if water is contaminated. Whether caused by sewer damage or an everyday clog, a flooded toilet can pose a fast-moving crisis. Don’t panic. Use these tips to be ready when your Tulsa, OK faces this common household calamity. Whatever the cause, the outcome is the same, a bathroom flooded with gray water. It’s key to know what steps to act fast to minimize damage. Immediately reach behind your toilet and find the water shut off valve. If you don’t have one, try opening the tank and removing or blocking the float so it won’t keep letting water fill the tank. Toilet overflow water is considered contaminated gray water at best and black water if it contains human waste. It’s important after a toilet overflow that you immediately use towels to clean up the water. Wash or dispose of them afterward. In cases where you are certain something is blocking the toilet, try removing it either by hand or with a plunger. Be sure to wear gloves to avoid contaminating your hands. If you can’t find the object or it’s too stuck, it’s time to call a plumber or sewage company. Bad pipes, clogs or even sewer damage can cause toilet overflows in the blink of an eye. Know how to handle them. Use these tips to stop the flow of water then call your local sewage removal experts for extensive cleanup. Black mold can disrupt the structural integrity of your house, making it difficult to keep it in good order, unless you can mitigate the destruction. Household mold can be a real concern, especially if you should ever suffer from an emergency at your Woodland Hills, OK home that leads to water damage and mold growth. Black mold can disrupt the structural integrity of your house, making it difficult to keep it in good order - unless you can mitigate the destruction quickly. Here are three tips to follow in case of a mold emergency at home. The longer you leave water run after you have noticed mold - especially at or near the affected area - the greater the chance that your moisture problem will become difficult to manage. Turn off your home’s water supply as soon as you discover mold growth. Did you know that airflow can spread destructive black mold spores throughout your home? Because of this, it is important to turn off air conditioners, heating systems and even fans when mold is present to prevent further damage. As soon as you have taken preliminary steps to stop mold migration, contact a trusted local residential mold remediation company. Professional mold cleanup crews know how serious mold damage can be, and will work quickly to find a solution that will help save and restore your home and personal property - many can even come to your home on an emergency basis. Water damage is stressful for any homeowner - a black mold discovery can make it even more so. 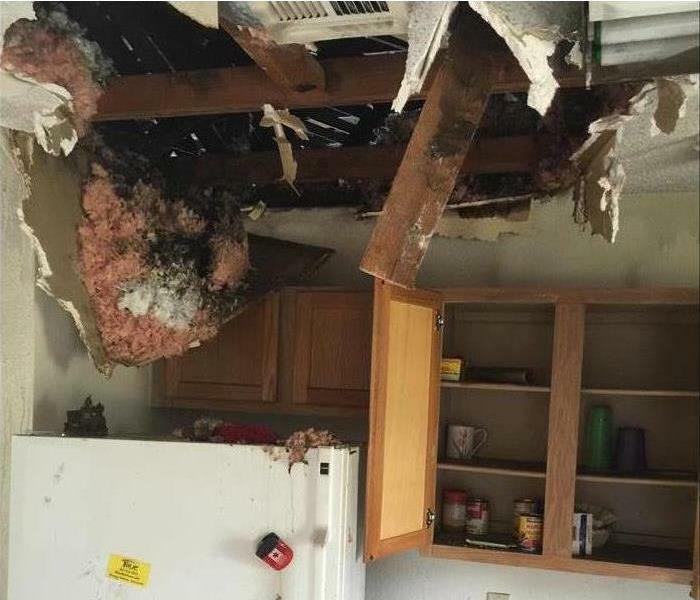 If you ever find yourself facing a disaster such as this, it is best to let the professionals on the scene handle cleanup and let them know about your questions and concerns along the way. Most Woodland Hills, OK cleanup technicians are highly trained and experienced, and know what to do to alleviate your concerns so you do not have to make stressful decisions during an emotional time. After a storm and during floods, you may hear the term black water being tossed around. Water damage can be devastating, but it’s worse when this type of water is involved. Not only can your structure be ruined, but the contaminants in the water can make people sick. Here’s what you should know. Black water is more common than you might think. It is simply waste water. This water is full of biological material, such as sewage. While it may be easy to think that you won’t have to be in contact with it, keep in mind that it can be present in your drain, sink or toilet if they are backed up. 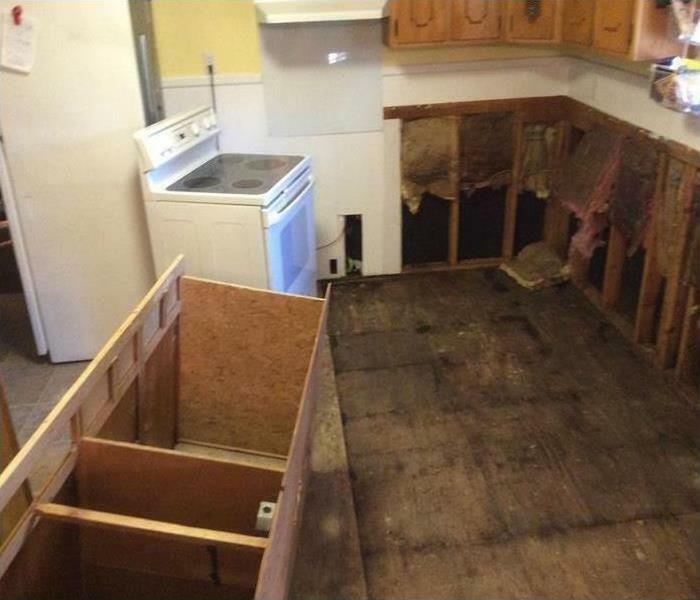 When it comes to water damage, you have to stay diligent. You should never try to remove black water on your own; it is highly toxic. While there are some aspects of flood damage that can be repaired by you, there are still aspects that you should never deal with without expert assistance. For your health, make sure that you have a professional to contact in case of a flood in your business. They have specialized equipment that helps them to remove the waste safely. 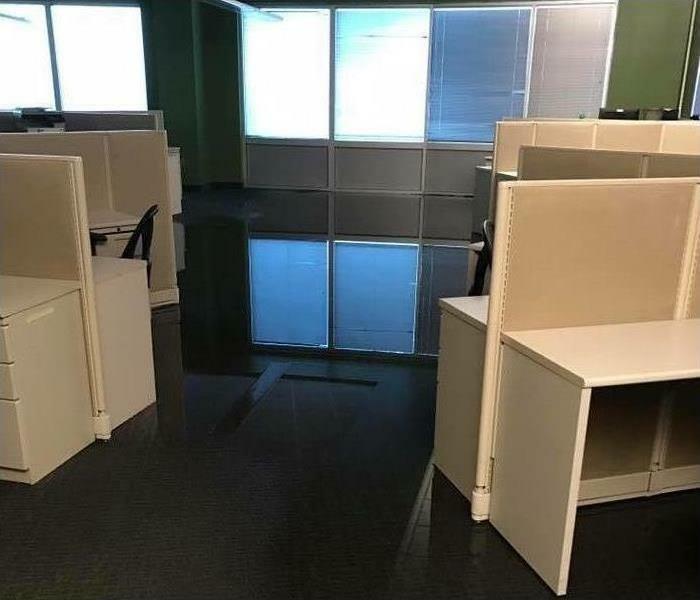 Water damage can be bad enough when there’s a flood in Tulsa, OK. It can be even worse when it comes to waste water being anywhere in your commercial building. You and your employees rely on your business location to be safe. Work with a water restoration specialist to be assured that this type of water is removed safely. Visit http://www.SERVPROsouthtulsacounty.com for more information on water damage. 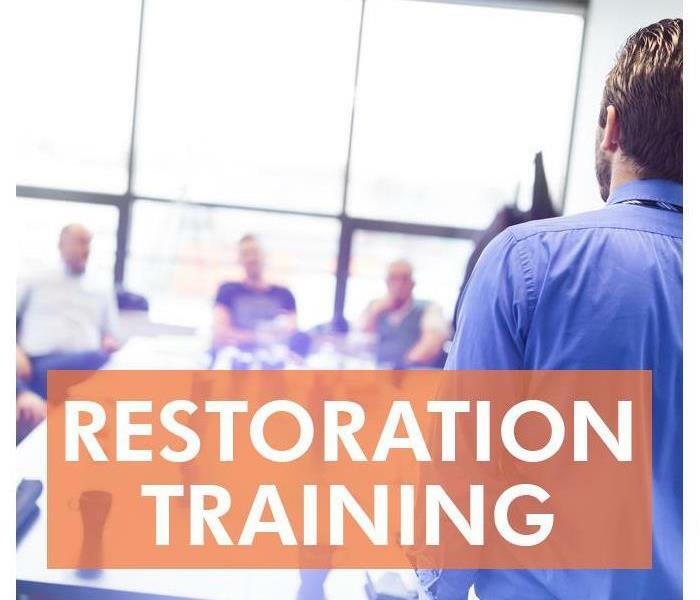 The Institute of Inspection Cleaning and Restoration Certification is a nonprofit organization that has been setting the bar for restoration industry standards for years. The IICRC is a globally recognized certification and one that proves that your restoration contractor is capable of doing the job. Becoming a certified disaster restoration specialist in the Leonard, OK, area is not a one and done kind of process. Both firms and agents must maintain their certifications through continuing education and practice. Every certificate has an expiration, and just because someone was once certified and capable does not mean that they still are. Standards of care change frequently as advances in technology and techniques evolve, and it is essential that you hire a firm that is capable of performing at the standards of today, not yesterday. The IICRC takes great pride in their certified technicians and firms, and you should too. These individuals and companies have proven their knowledge and ability, and because of that, they have earned the respect of an industry standard setter. Therefore, the next time you are faced with a disaster and the impending work of a restoration, seek out only those professionals and companies that proudly proclaim their certification. Here are 3 easy steps you should follow when using an extinguisher to put out a fire in your home. Identify Your Evacuation Path - The last thing you want to do is focus so much on putting out the fire that you become trapped in the blaze. Take a moment to look around you and ensure you have a safe escape route to use as needed before pulling out the extinguisher. Follow Instructions on Extinguisher - Fortunately, most extinguishers come with easy-to-read instructions printed directly on them. Follow the instructions and make sure you discharge the extinguisher within the effective range listed on the container. Back Away From the Fire - It’s possible for a kitchen fire to flare up again even after you’ve put parts of it out, so make sure you back away from extinguished flames instead of moving toward them. 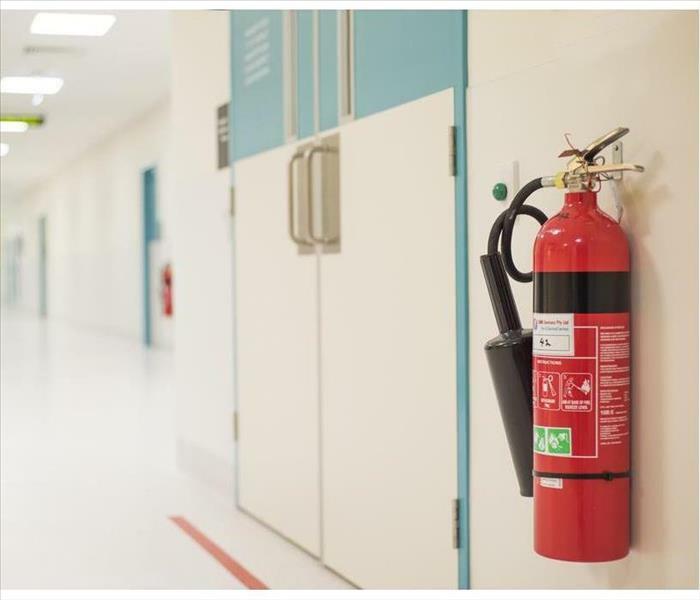 Once the fire is safely put out with a fire extinguisher, call your local fire damage restoration company in Tulsa, OK. They can help repair and restore your home after fire damage has occurred. For more information, visit http://www.SERVPROsouthtulsacounty.com. What to do with mold before help arrives? If you have any questions about Mold, do not hesitate to contact us directly. A source of mold growth can be found in wood and cotton as well as drywall, which is extremely susceptible to long-term moisture retention if not allowed to dry out. Moisture is the key element for mold growth. Roughly 50-55% humidity triggers mold propagation like a jump start on a car battery. Indoor humidity and moisture increases in rain season. Pipe leaks, drywall fissures and wall cracks and gaps all act as channels by which mold spreads. Mold damage is the specific term for mold proliferation when it has spread to the stage its toxicity is affecting living persons and pets. Mold damage requires immediate attention and can involve structural repairs and replacement of critical areas that cannot be cleaned. Treatment involves drywall and wood replacement, moisture reduction and elimination, bleach and fungicide applications and painting. Unchecked mold damage is responsible for toxic components called mycotoxins. If moisture and mold problems present themselves in your home, they need to be addressed as soon as possible. A Tulsa-based professional mold remediation outfit is fully equipped for business and residential mold abatement. 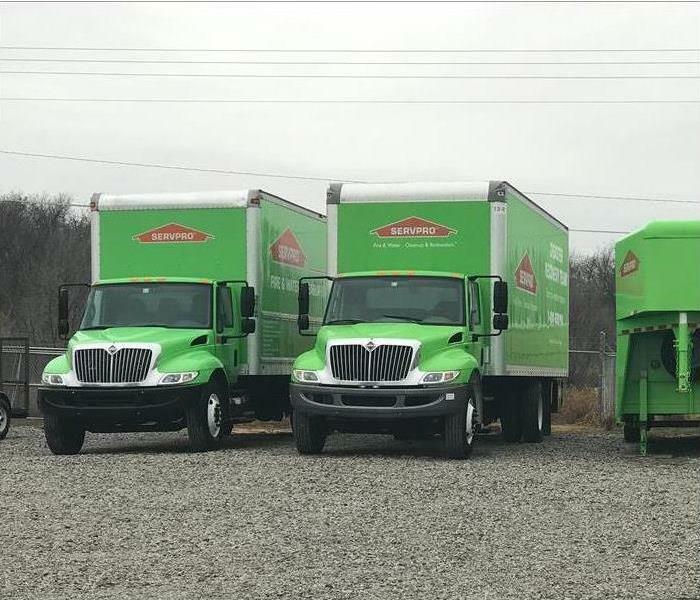 SERVPRO of Tulsa is always ready to respond to your emergency. Flood damage can seem like a remote, theoretical risk – that is, until it’s in your face. Fact is, experts have estimated flood costs for the globe’s 136 largest coastal cities could cost $1 trillion annually by 2050. Wise property Tulsa, OK, property owners are thinking ahead by creating a flood plan. Not sure how to protect your property from storm damage and flooding? Here are a few tips. All can create damage, but even just an inch of water can result in recovery costs estimated to average $27,000. Being prepared won’t eliminate the risk, but it can help minimize the costs of recovery. Invest in waterproof coatings and sealants and apply thoroughly to foundations, walls and even doorways of your property. This so-called “dry flood-proofing” measure can form a thin but sturdy barrier that can minimize flood damage effects. Foundation vents encourage water to flow through a building rather than pooling around it, reducing the pressure flood waters can put on walls. This type of “wet flood-proofing” is particularly useful in buildings with basements. Flood damage can be devastating both physically and financially. Get ahead of the risk with these tips and by identifying a local water cleanup specialist in case the worst does happen. 2/20/2019 - How do I use a fire extinguisher? 2/20/2019 - What to do with mold before help arrives?